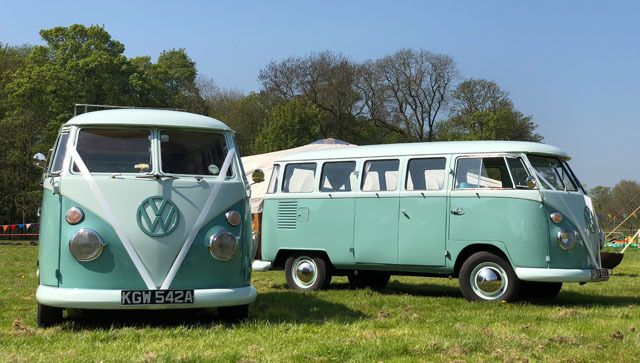 Meet Dylan & Dolly - our amazing chauffeur driven wedding hire campers. Don't take our word for it take a look at our reviews, they say it all! 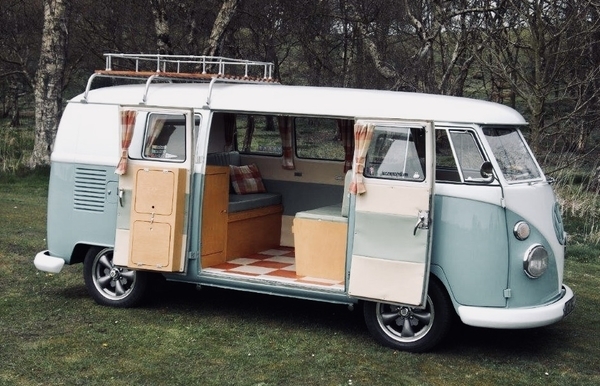 Each camper seats 5-6 passengers. All weddings are unique so therefore so are our quotes. Please send us your details, the wedding enquiry form may help guide you with the details required for us to make up your bespoke quote. Our prices range from £300 depending on the mileage. Looking for the WOW factor, bring some fun in to your day with our stunning split screen chauffeur driven campers. 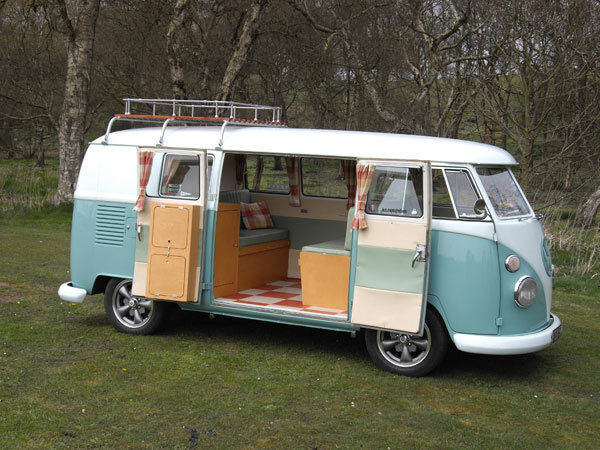 Don't blend with a pale background, let our delicate green campers show you off, after all it is about you! They are very photogenic and their pale green colouring complements any and all colour schemes. We have 170+ 5* FB Reviews (take a look at recent photos). 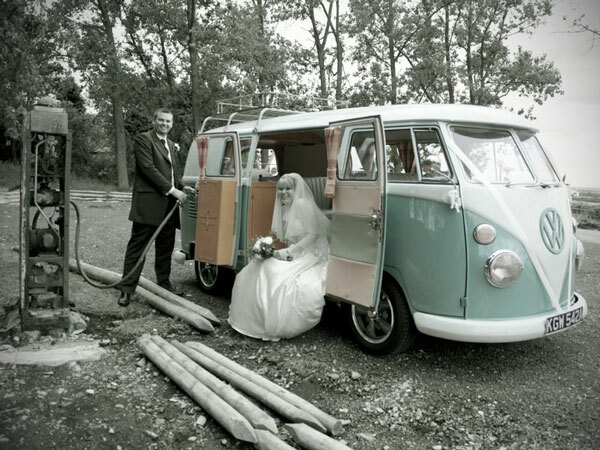 These are old vehicles and take much care and maintenance, we have a 100% success rate with all our wedding hires. Read our reviews and take their word for it! Wedding Hire Otley, Ilkley, Guiseley, Burley, Yeadon, Pool, Baildon, Horsforth, Shipley, Bramhope, Keighley, Bolton Abbey, Ripon, Easingwold, Leeds, Harrogate, Knaresborough, Wetherby, York, Skipton, Wakefield, Halifax, Huddersfield, Selby, Doncaster. And many more, contact us for a quote. If it isn't listed please enquire for a quote, we work on a mileage so we can cover all areas. 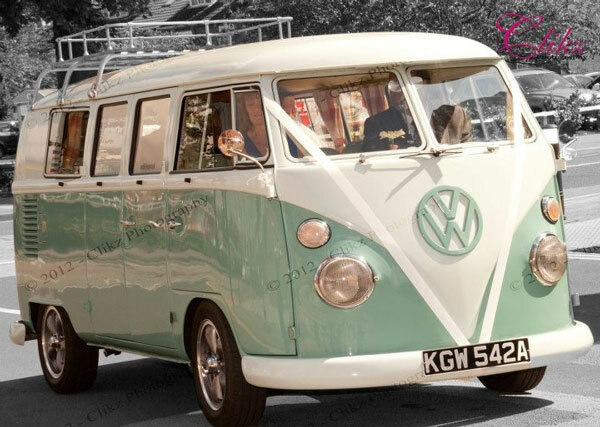 We are a Yorkshire Wedding Car Hire company based North of Leeds, with over 10 years experience.